Ice cream is a big thing at my home. We love ice cream! I have only had a real ice cream maker for about 8 months but I have used it so many times already. Even though I have my own ice cream maker I frequently go to my local ice cream shop, Manolo in Bronshoj Copenhagen, which is known for its creamy and original ice cream. 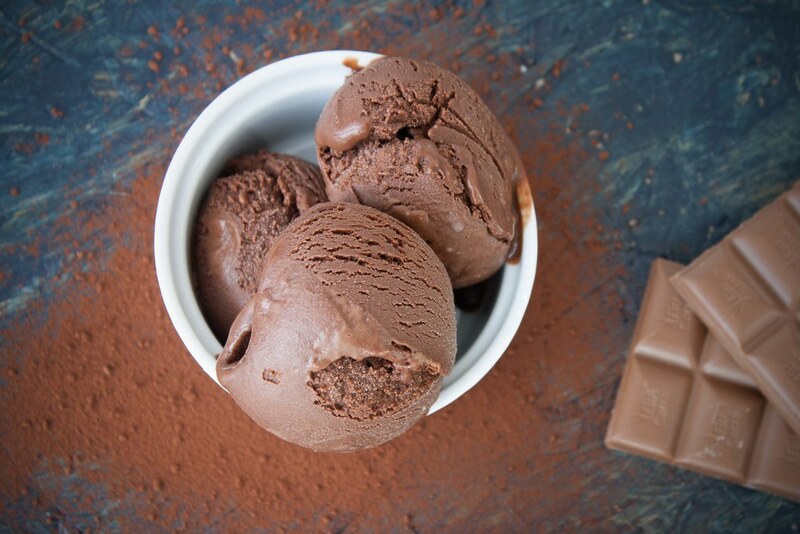 One day I tried their chocolate ice cream which was the best I have had for a long time. It had the most beautiful brown color and had a very intense chocolate taste without overdoing it. 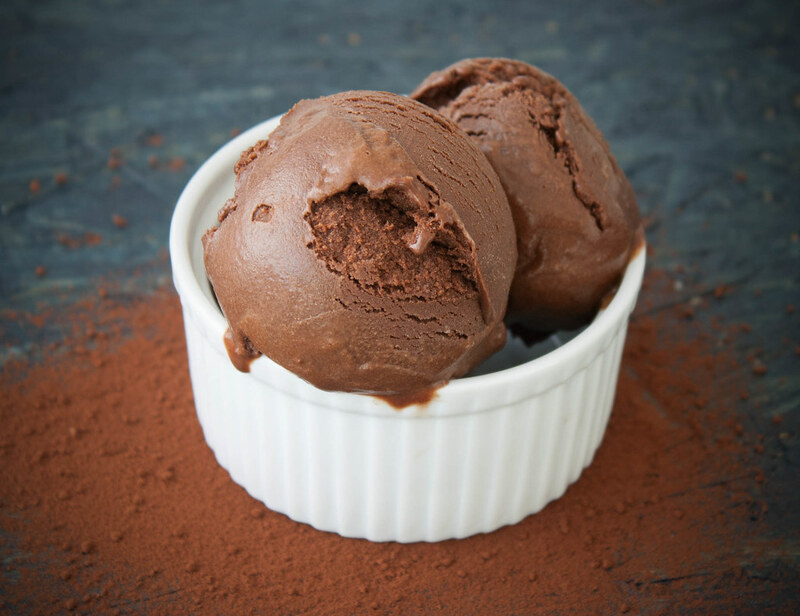 I decided that I had to make my own chocolate ice cream similar to the one I loved so must from the ice cream shop. When I am looking for something new I want to try out I normally browse around and gets inspired by different recipes. 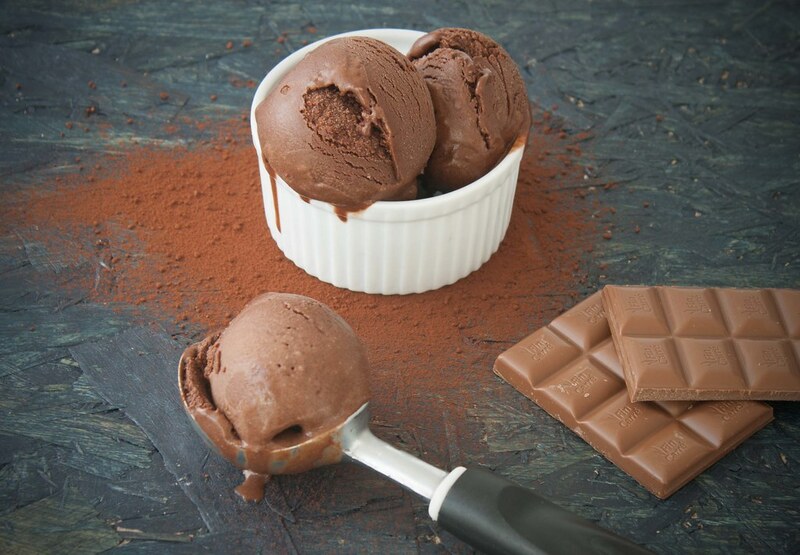 So on my hunt for the best chocolate ice cream I Googled around and collected elements from different ice cream recipes. 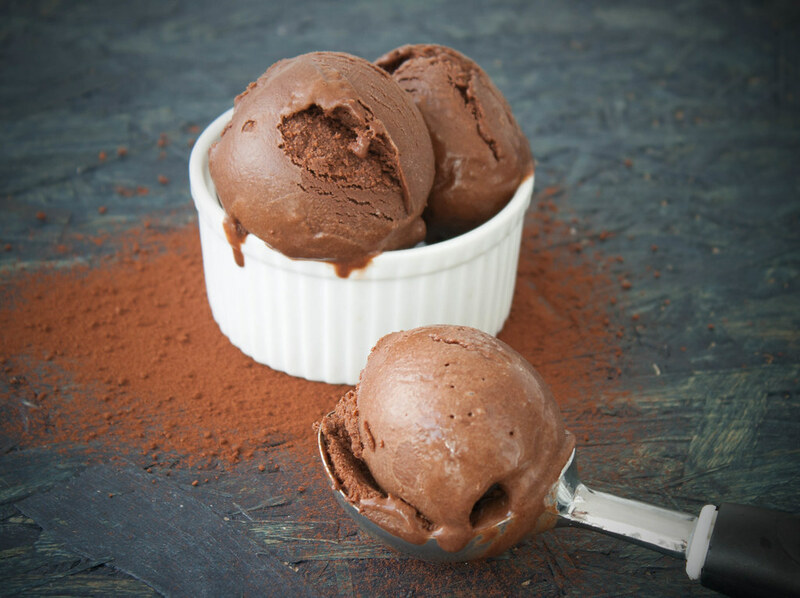 The chocolate ice cream recipe I have presented on this page is today my all-time favorite and it is property the most rich and creamy chocolate ice cream I have ever made. It simply has the best consistency and the most wonderful taste. 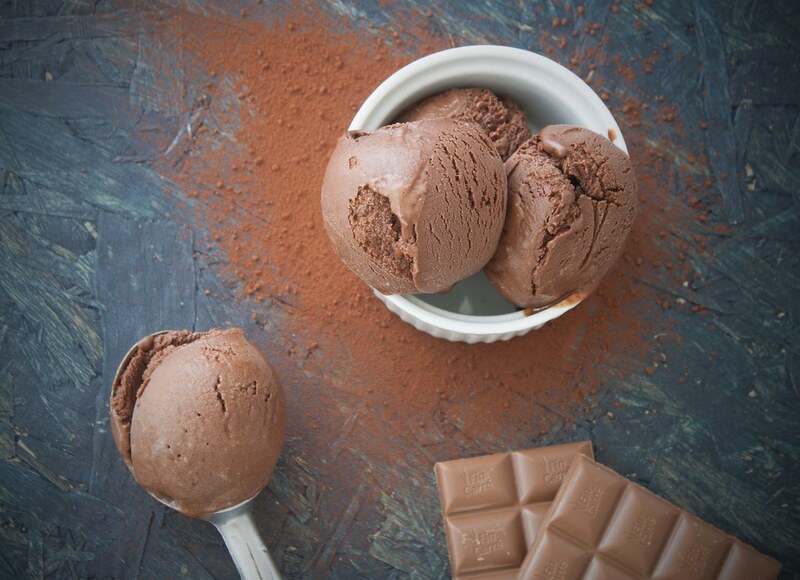 However, my hazelnut and chocolate ice cream is a very close competitor. Step 1: In a saucepan warm up whipping cream, water, honey, sugar and cocoa and stir. Step 2: Add the chocolate and stir until the chocolate is dissolved. Step 3: Whip the egg yolks or whole eggs together in a bowl. Step 4: Pour the chocolate mixture into the bowl while continuing to whip. Step 5: Cool the mixture, and then pour the mixture into the ice cream maker. Let it churn for about 25 minutes – depending on which machine you have. 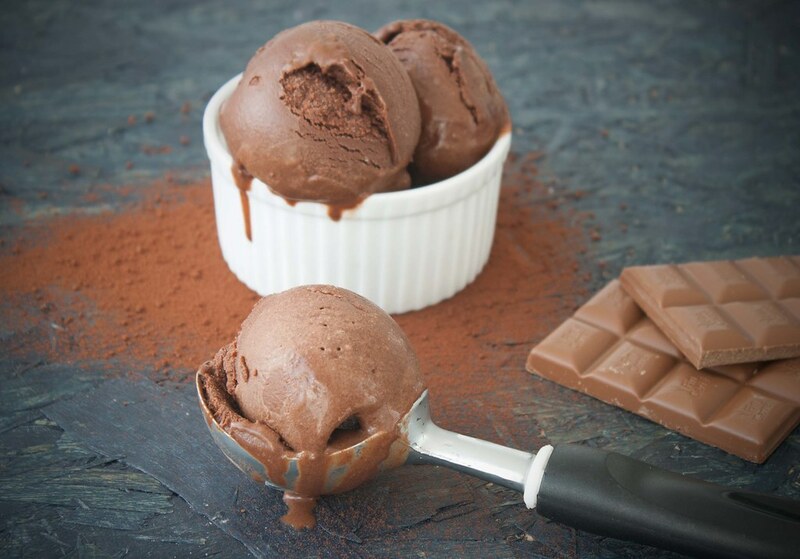 You can also make the ice cream in your freezer. Just remember to stir the ice cream mix every second hour until it is frozen. Hej! Når I skriver “Saucepan” er det så en gryde eller?? ?